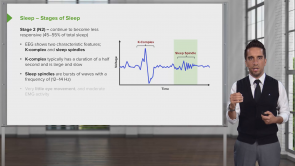 Sleep and Sleep Disorders | Try Online Course for Free! This course covers everything you need to know about sleep and sleep disorders. Etymologically, the term "sleep" comes from a word meaning "to slack"; the term's similarity to the word "slack" is no accident. Sleep is susceptible to various interferences, and many diseases, some harmless and some serious, first exhibit symptoms during sleep. 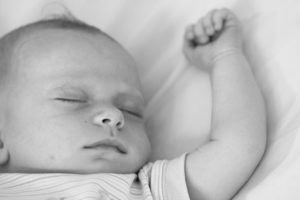 It is therefore important to deal not only with the scientific findings, but also with possible sleep theories because many facts about sleep remain unknown. In the following guide, you will see what sleep is actually about, what stages it occurs in, and what sleep disturbances individuals may experience. CLEAR AND CONCISE, WELL EXPLAINED.GOOD DIAGRAMS. VERY INTERESTING LECTURE. Very helpful in understanding the practical aspects. Questions well framed to help better understand the topic and lectures are very comprehensive and keep you glued till the very end.